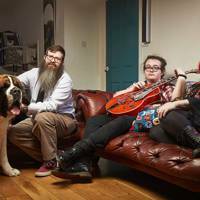 We know their opinion on Game of Thrones, what they eat for dinner, and the contents of their living room, but although we watch the Gogglebox families every week, we don't actually know that much about them. 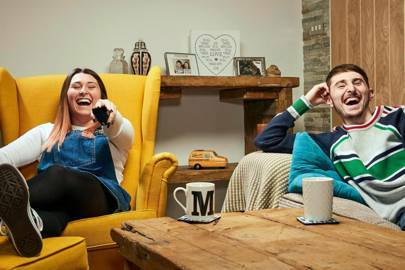 With the show now a much-loved favourite on Channel 4 after four years bringing us a digest of the week's lovely telly, we've seen families come and go – but why do they leave, and what do they get up to when they're not filming the show? 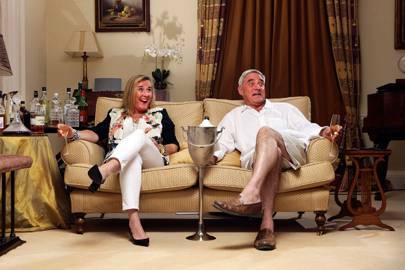 Blackpool-based siblings Pete and Sophie Sandiford joined the Gogglebox gang in 2017 and have been hugely popular ever since. When they're not on the show, they can be found tweeting about it. 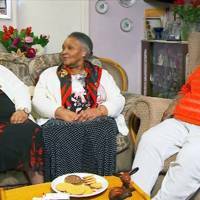 The new season of Goggle Box saw the addition of three sassy ladies dubbed the "three aunties". 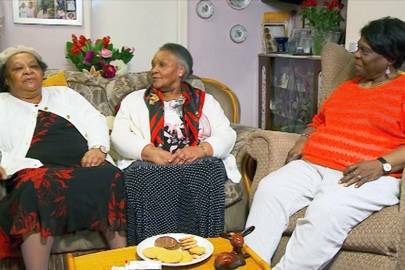 Kathy, Cilla and Elvie are long time friends and while little is known about them at this stage (they've only been on the show since February 2018) viewers fell in love with their I-don't-need-a-man attitudes and love for rum and raisin ice cream. 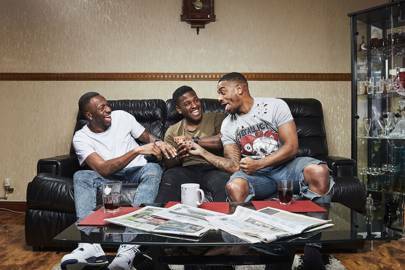 The Plummer brothers joined Gogglebox in 2017, and adore football. So much so that Tristan is a winger for Hereford FC and Twaine plays for Bradford Town. Tremaine does not work for a football club (he's a chef) but does own an adorable pug which arguably makes him more valuable. Also, his Instagram account is , which deserves a round of applause. Scott hides many secrets behind his majestic beard, not least that he is an aeronautical engineer, and spent 22 years in the RAF. Georgia is a hairdressing tutor. 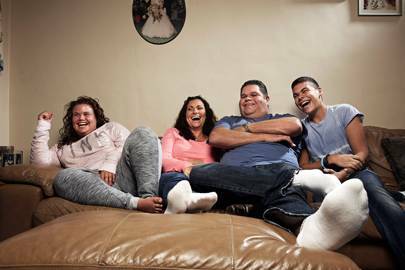 Isaac has Tourette's, and the family signed up to the series to try and demystify the syndrome. 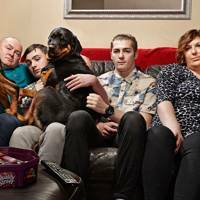 They have another son, Archie, who has not appeared on the show, although their St Bernard, John, and Labrador, Lola, are frequent guests on the show. These two relative newbies have been married for 40 years. Dave is a cleaner in a factory, and Shirley works in retail. 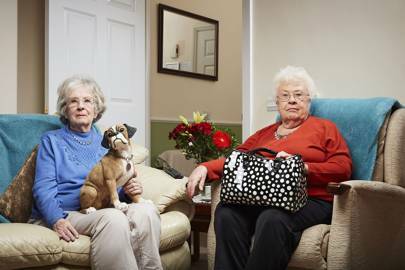 Both widowed, both best friends Mary and Marina live in the same retirement home. Mary's favourite tipple is Liebfraumilch, which she believes she has in common with Victoria Beckham, having once read it in a magazine. Why not? The sisters both live in Leeds, but not in the same place. Ellie lives in the family home, while Izzi, a mum, lives in her own flat – and says she doesn't like her sister turning up unannounced! Fair enough. The pair were cast in the show in 2015 by a friend who was working on the series and thought they'd be great. They're Marmite with viewers, but they're certainly memorable. 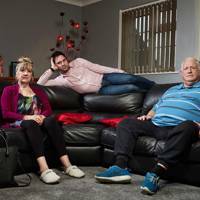 Despite being a firml favourite with viewers, Linda, Pete and George were briefly axed from Gogglebox in 2014 when George defied rules about appearing on other TV shows, by taking part in Celebrity Big Brother. Linda and Pete have been married 17 years, she's a carer and he's an electrician like his stepson George. The pair both grew up in the East End, and have fostered over 60 children together. George and his girlfriend Gemma, a school deputy head, met at Ascot and welcomed their first child together in June of 2016. 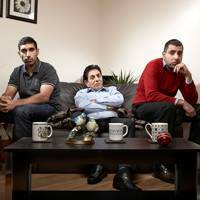 Some of the most enlightening comments on Gogglebox come from the Siddiqui family in Derby. When they’re not slouching on their comfy sofa, the Siddiqui sons work in IT: Baasit is an IT teacher and Umar is an IT technician. 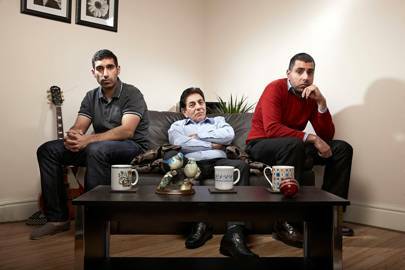 Their dad Sid, a retired engineer, was born in Pakistan and moved to Derby when he was 16. 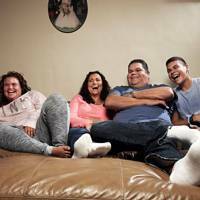 He has been married 37 years but his wife and two daughters never appear on camera because “they don’t like to be on TV”. Their other brother, estate agent Raza, occasionally appears when he has the time, and Baasit’s baby daughter has also made the odd appearance. The Malones’ fabulous brood of dogs are almost as famous as the family themselves (and the mouthwatering treats they always have on the table). Tom Sr of the amazing facial expressions is a lorry driver, and mum Julie is a receptionist and homemaker. 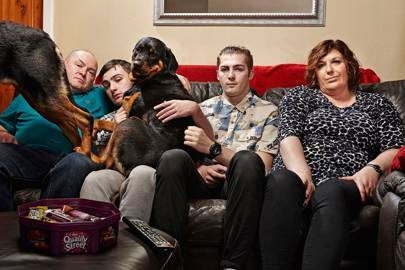 They have four children (Vanessa and Lee are yet to appear on the show), but it’s usually sons Tom Jr and Shaun that you’ll see on the box. Tom Jr is a freelance model and streetdance choreographer who’s performed with a ton of big names including the Black Eyed Peas, while Shaun used to be a stage actor in Billy Elliott until he turned to sport, coaching Manchester United’s Under-16s Ability Counts football team. 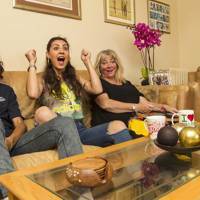 The Tappers have been with Gogglebox since it began in 2013 (has it only been four years?). Mum Nikki is a nursery school teacher and Jonathan was a chef but is now a chauffeur. 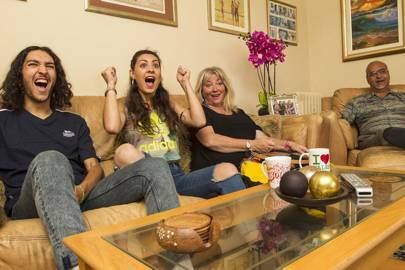 Nikki got through to the final stages of Jewish Mum of the Year after undergoing treatment for breast cancer, and the family got the gig on Gogglebox because one of the researchers remembered her and her children – that’s Josh and Amy if you haven’t been paying attention. However Josh has now left the show to take up a Civil Service Apprenticeship for two years, after which he could be offered a full-time role. The producers are keeping the door open for him, and the Tapper family will keep his sofa cushion warm. Giles and Mary are renowned for their dry sense of humour and sarcastic one-liners. 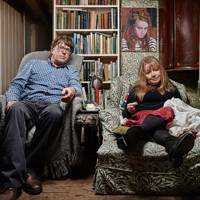 Giles is an artist and Mary is a writer for The Spectator. Apparently they have a cupboard full of broken crockery, or a “mending cupboard”, as they call it. 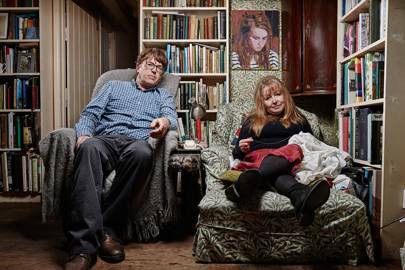 The sofa-and-wallpaper-matching pair are also reportedly friends with Boris Johnson and his sister Rachel. Just imagine the banter. 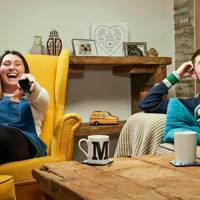 Scarlett was the stand-out star of Gogglebox, but her time on the show came to an end when she signed up to do I'm A Celeb.... . 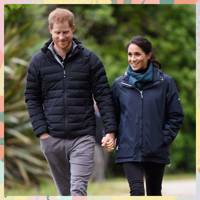 It worked out quite well for her though as she ended up winning the show and secured a new job working with Ant and Dec on Saturday Night Takeaway, as well as being hired as the host of Channel 4's rebooted Streetmate dating show. Not bad, eh pet? She has also reportedly made a killing from her fitness DVD after losing a lot of weight and going through a body transformation. Her parents Betty and Mark have subsequently left the show. Gogglebox wasn't the first time she’d been in front of the cameras. 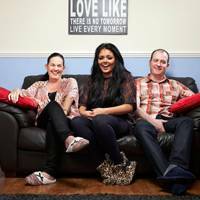 Scarlett appeared in MTV's Beauty School Cop Outs (in 2013, and snogged Jeremy McConnell on TV) but she then juggled her TV-watching Friday night show with a job as a disability advisor for students. She then signed up to be a radio DJ on Capital. Her dad Mark is a welder who makes JCBs and her mum Betty works in Burton. The family’s youngest member, nine-year-old Grace, wasn't interested in being on the telly but changed her mind and has featured on the show. Speaking about her mini-me to Now, Scarlett said: "We asked her to join and she said no!" She went on: "She’d 100% outshine me if she did. She’s sarcastic, dead funny and proper cute. It wouldn’t be good for my street cred to be losing arguments with her." What did little Grace get up to when the others were filming? Scarlett said: "She’ll either be in bed or sit with the crew in another room. She’ll help them move cameras and stuff - basically she’s working production and starting early." 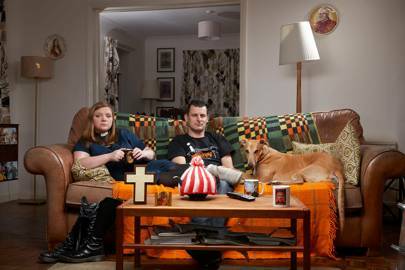 Kate Bottley has been dubbed “the nation’s favourite vicar” thanks to her (and her fluffy slippers’) appearances on Gogglebox. Ironically she’s admitted that she only started going to church in Sheffield because she fancied the son of the local vicar. That was Graham, a violin teacher, and now her husband, who spent 2014-2016 sitting beside her on the sofa along with their greyhound Buster. The couple have been together 22 years and have two children. However, other channels saw the Rev. 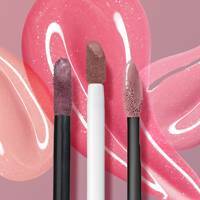 Kate's potential, and the couple have now left the show – she is a regular presenter on BBC One's Songs of Praise, and a contestant on 2017's Celebrity Masterchef, as well as a radio host. First things first: Chris Steed and Stephen Webb are not an item. They were a few years ago when the show first started but they decided that things would work better if they were just friends. 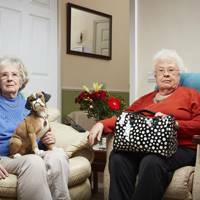 They’re both hairdressers, and Stephen travels from his West Sussex home to Chris’ bungalow every week for their Gogglebox sessions. Chris has been open about having had a few hair transplants, most recently before his wedding to his partner of three years, Tony Butland, at Brighton's Grand Hotel in July 2017. Before the wedding he told HELLO! magazine, "I had a second transplant in 18 months because I wanted to look gorgeous when I walk down the aisle with Tony on Saturday. Lots of men cope brilliantly with baldness and are happy to shave their heads to cover it up like my fiancé Tony. "But I've never wanted to be a baldie! I'm a hairdresser and I love creating wonderful hairstyles for all my clients. Having these hair transplants has ensured that I can have great hair myself." Whether there's hair or not, Chris and Stephen are two of our absolute faves. 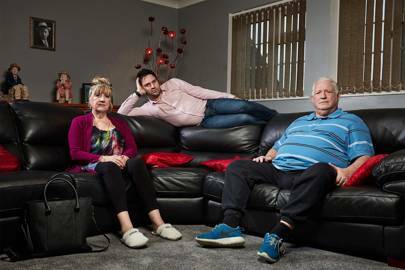 Jenny and Lee, who film Gogglebox from inside her caravan, met 21 years ago when she was the landlady of the Crown Inn pub in Paull, and he was a regular customer. The pair joined the show when Jenny and a friend met two of the show’s researchers at Beverley Races Ladies' Day and they all got talking. Lee was reluctant to join at first, but they're now a key part of the show. The Woerdenweber Family are best known for Ralf's deadpan humour and Jay, the (now ex-) boyfriend who sat on the sofa and never spoke, but there’s much more to them than that. Mum Viv has her own tattoo studio while daughter Eve runs a New Age shop nearby, selling incense, oils and Pagan jewellery. Viv met drummer Ralf in 2007 when she was out with a friend celebrating the Pagan festival of Yule. 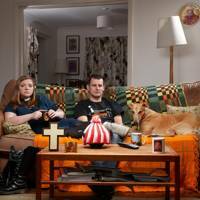 Bill and Josef haven't been seen on Gogglebox for a while, but they have equally impressive CVs: Bill is a Cambridge maths graduate, journalist and former British Chess Champion (seriously, he has ), while Josef is an accountant who also happens to be a World Cluedo and Scottish Monopoly Champion. One of the early iconic couples on the show, Sandi and Sandra's constantly-changing hairstyles, unusual TV snacks and big personalities are much missed. Sandy is a mother of two and grandmother of five, who previously owned some wine bars in South London and used to sing at the Tower in Blackpool with Larry Grayson. Sandra has four children and three grandchildren and wants to kiss Tom Jones in his leather pants. Who wouldn’t? Sadly, the dream team appear to have split up for good (on telly at least, hopefully they're still bezzies in real life) and Sandra's daughter Chanchez replaced Sandy in their last appearances on the show. Sandra finally decided to call it quits in summer 2017, before the start of the new series. 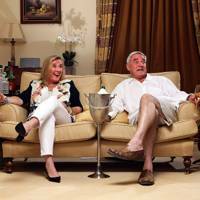 We'd love to be part of a Steph and Dom sandwich, actually: the posh couple who ran a massive bed and breakfast were the first breakout stars of Gogglebox. A pretty sizeable chunk of the audience could very much get on board with their fondness of a tipple or two (or 12), while their love of their adorable little dog, Gigi, made us go all gooey inside. 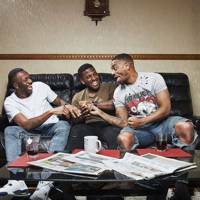 They went on to star in their own TV programmes, and announced that they were taking an indefinite break from the show in 2016. 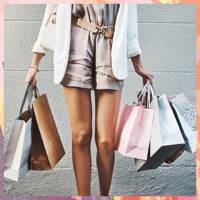 "You can have too much of a good thing," said Steph. 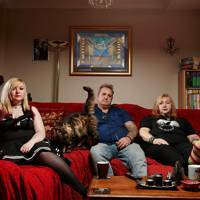 Andrew and Carolyne Michaels, their son Louis and his sister Alex, are longstanding Goggleboxers, taking a break only when Andrew decided to run as a UKIP MP in 2015 and the family were subsequently axed. Well, at least he wasn't moving to the States to support Trump. They rejoined the show when Andrew failed to win the Hastings and Rye seat. 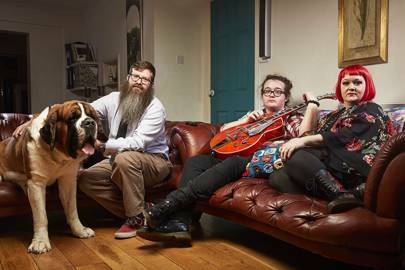 Alex's lookalike sister Catheryne has made an occasional appearance on the show, but their other brother, Pascal, has yet to join the family on the sofa.